U-Shaped Kitchen – For a budget-conscious update of an old kitchen, nothing beats paint. 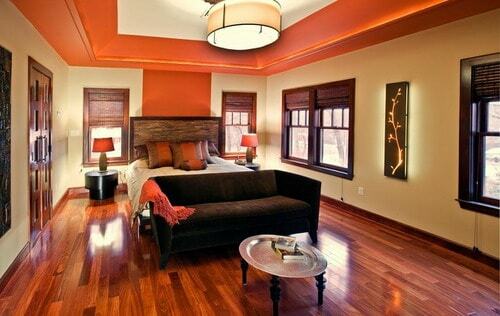 With thoughtful paint choices, you can make spaces seem larger, cozier or more modern. Especially within the outlines of an old U-Shaped Kitchen with peninsula, paint creates new perspectives on predictable space. Whether you think in terms of big- or small-brush projects, use paint to make your old-fashioned kitchen a welcoming contemporary family space. One of the qualities distinguishing new kitchens from old is their spaciousness. Even when the dimensions are not huge, contemporary kitchen design focuses on filling space with light and air. White and pale colors are excellent space expanders and light reflectors. The lightest tints of beige, yellow or green may make spaces seem even larger than pure white because they suggest the bleaching effects of bright light. 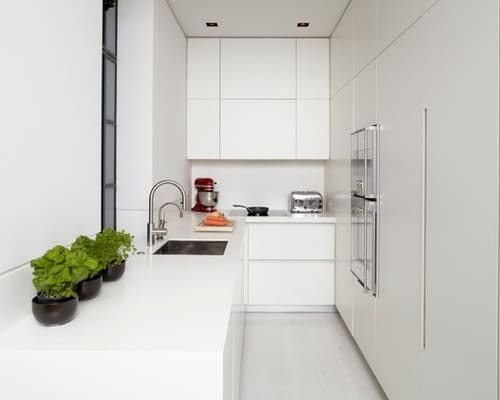 Used in monotone, as a finish for cupboards as well as walls, white and pale colors blur the sharp outlines that may make a kitchen seem cramped. Contrasting color schemes define spaces more clearly than monotone ones, but they are also highly effective at changing perceptions of shapes and space. Painting base cabinets a dark color and overhead cabinets a light one, for example, creates large and continuous sweeps of color in a U-shaped kitchen. Choosing a color such as gray or even black can blur the blocky outlines of undercounter appliances such as the dishwasher. Using a dark red, blue or green on base cabinets makes white overhead cabinets and walls seem light in weight as well as color. Using a dark color below counters and a light one above can make the ceiling seem higher, especially if walls and cupboards are the same color. 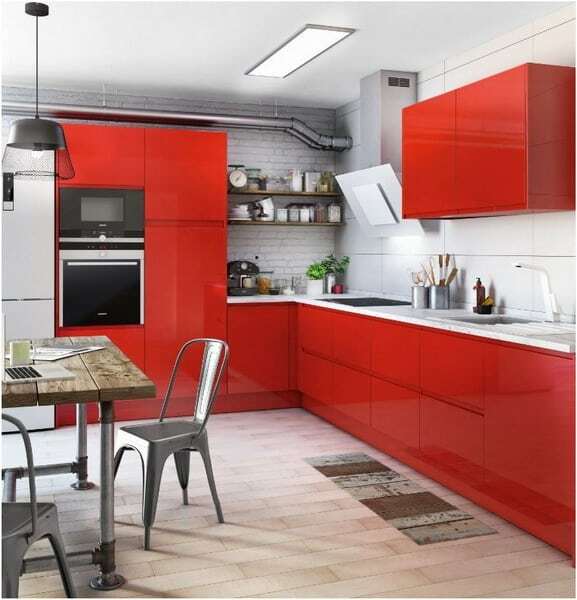 While there is a risk of bringing walls visually closer, a strong color on cabinets, walls or both can bring energy to a dull space. Keep strong colors in the food family to add warmth to the room: pumpkin, butter-yellow, sage greens and varying shades of brown are especially effective in large U-shaped kitchens. 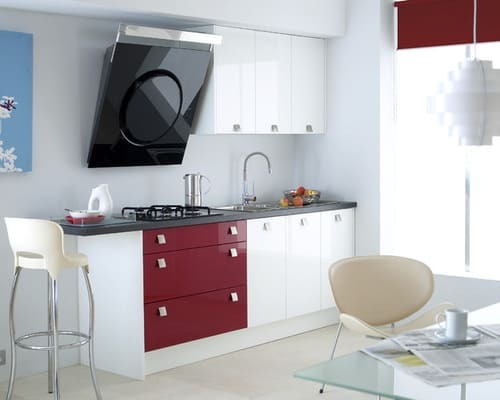 Contrast with creamy whites on cupboard and ceiling surfaces. Add richness to the look by including freestanding storage cupboards or work islands in the colored surfaces. For a cooler look, muted blues and, increasingly, grays give substance to walls or cupboard surfaces. 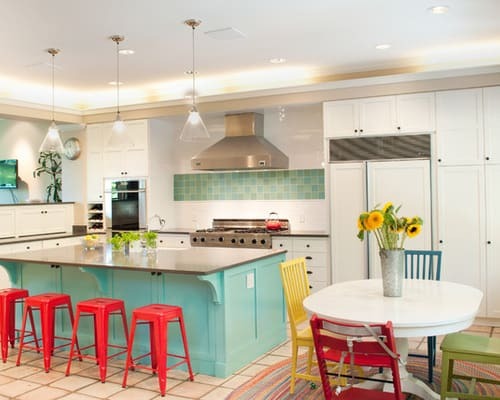 In a small U-shaped kitchen, large areas of color can make the space seem claustrophobic, but that does not mean everything must be monotonously white. If cupboards have glass doors, their interiors are a wonderful place to use an accent color, as are the back walls of alcoves or open shelves. Choose several colors, or several shades of the same color, to turn dull flat-front cabinet doors into an amusing and lively patchwork. A single pop of a retro color such as aqua, melon or chartreuse can be used in a modern way if confined to part of a wall surface, a counter splash-back or a pair of brightly painted stools. Use primary colors or strong food-y colors such as orange, cherry red or eggplant purple as a single accent against a modern monotone. A dark wood and white scheme enlivened by a persimmon-colored pendant light, royal-blue toaster or a row of canary cannisters signals new life for an old style and gives an old U-shape a brand new focus.